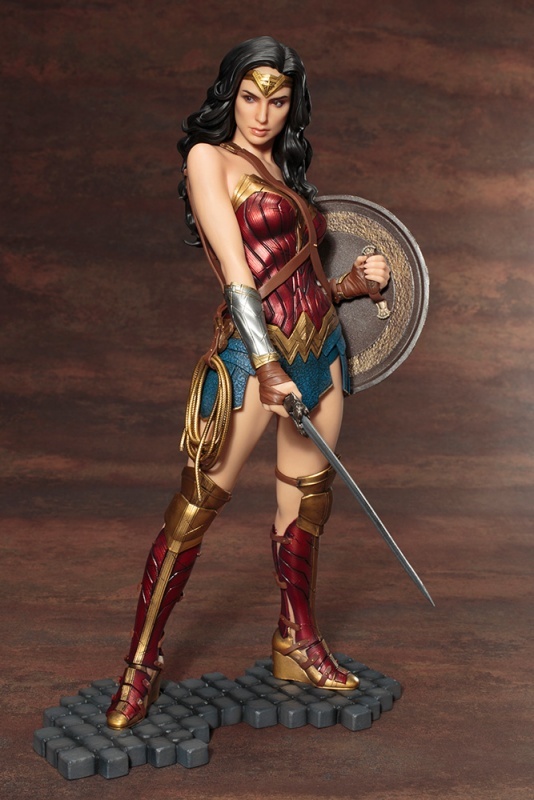 A new DC Films Statue has been revealed by Kotobukiya Japan. 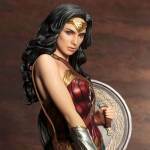 They have opened up pre-orders for their Wonder Woman ARTFX Statue. 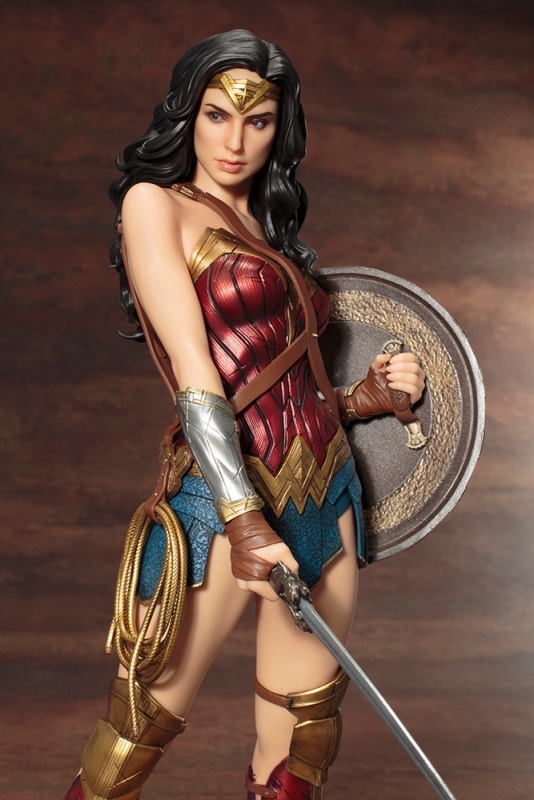 The upcoming releases is based on Gal Gadot as Wonder Woman in the upcoming Wonder Woman Movie. 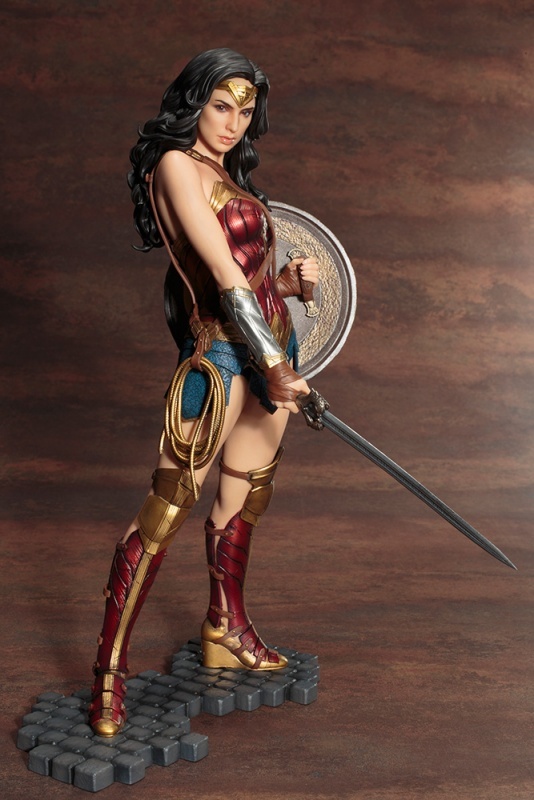 This is a 1/6 scale statue that stands just under 11.5″ tall and includes a themed base. 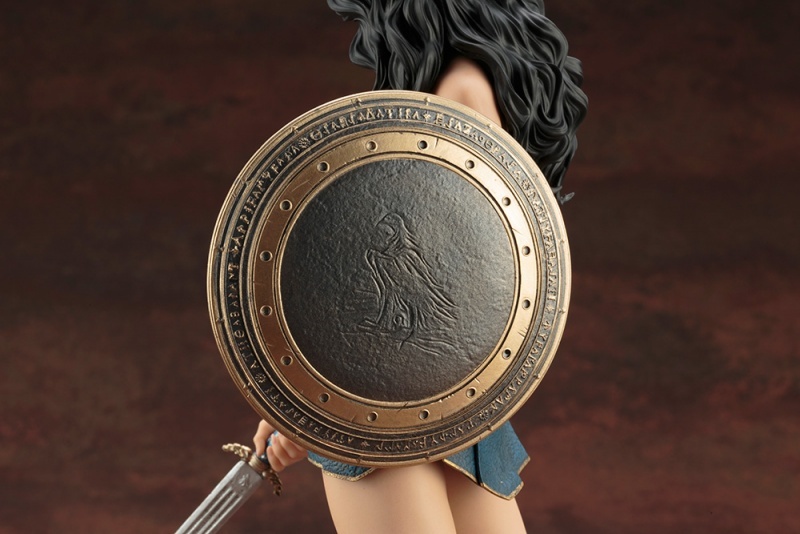 It features Diana Prince in her full Wonder Woman attire, holding the Sword of Athena and a shield. 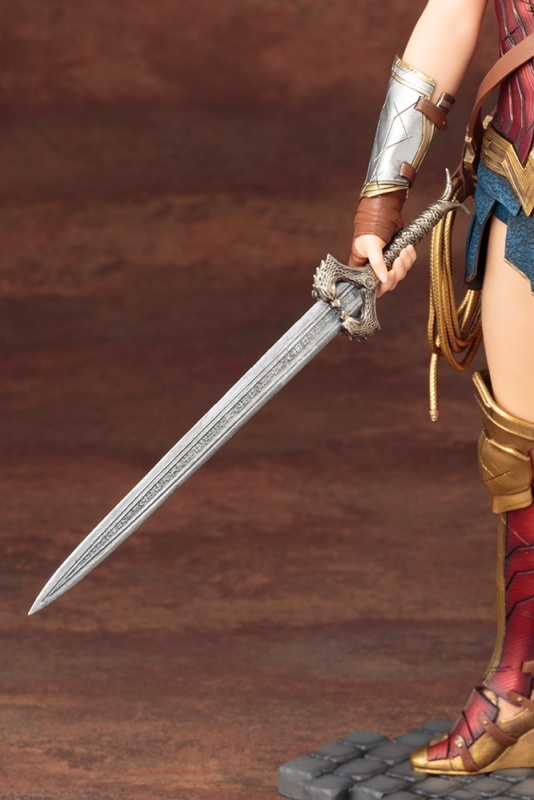 The initial release of the statue also includes a swap out sword and shield based on the ones she used in Batman v Superman: Dawn of Justice. 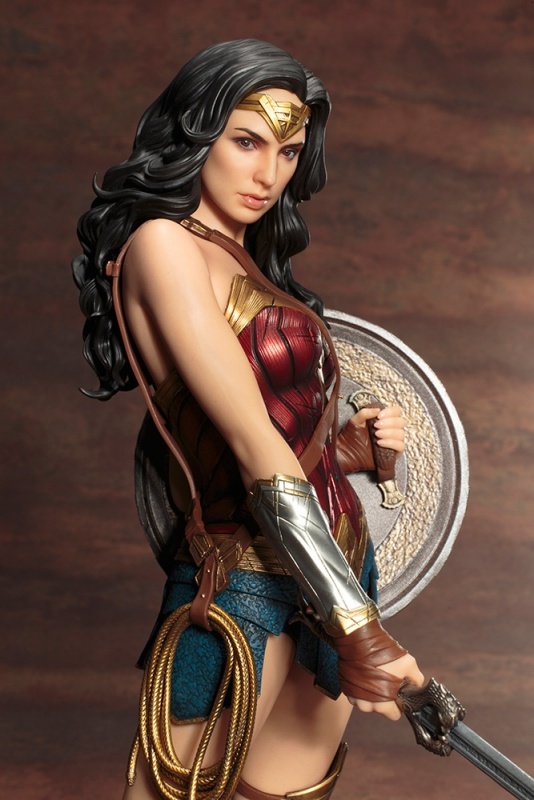 The Wonder Woman ARTFX Statue is slated for a release in Japan in August. 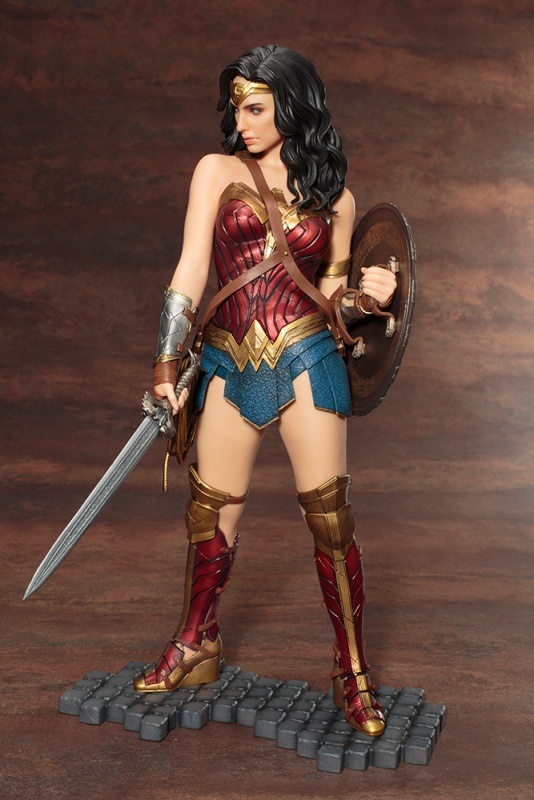 It is priced at 13,800 Yen (about $125 USD). You can check out the new photos by reading on. 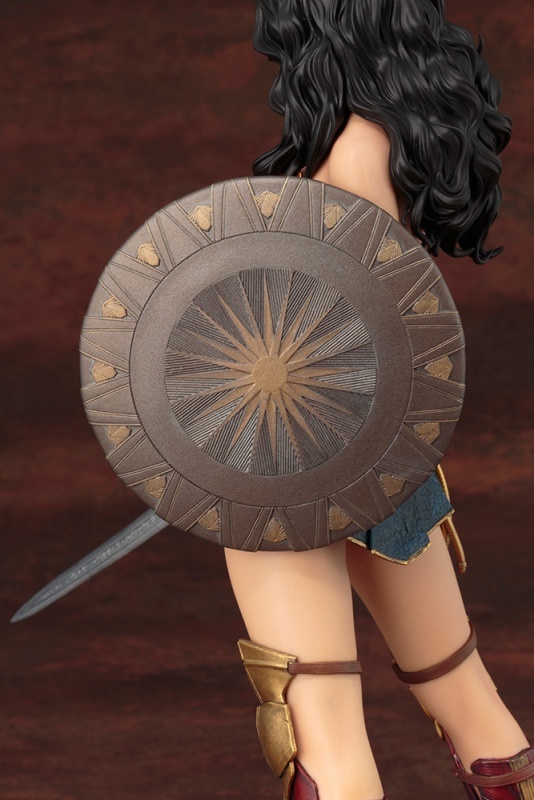 Kotobukiya US has released details. 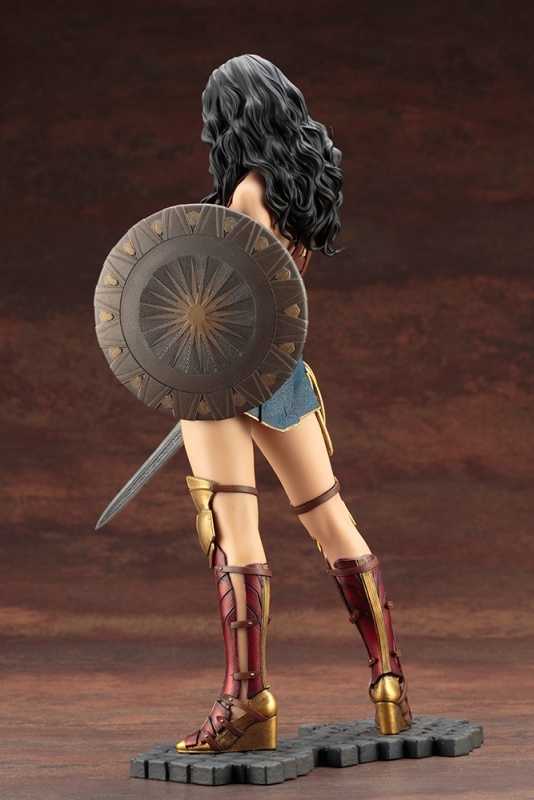 The statue will hit North America in July. It will be priced at $139.99. You can see the pre-order page Here. Beautifully detailed. I wish this was a 1/12 scale action figure. 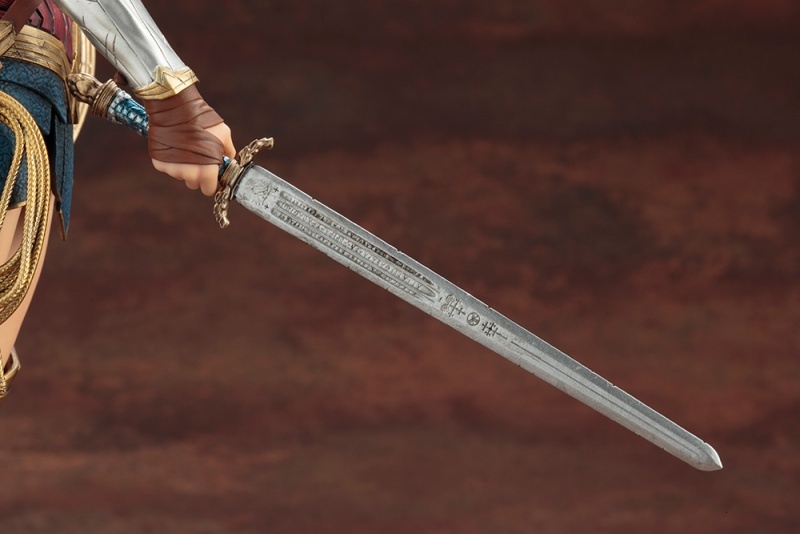 awesome detail but that stance is a little weird for me.. would of prefered a more battle stance , but i'll check this out whenever it release in the west.